National NeighborWoods® Month is an annual October celebration that bring attention to the value of trees in our communities. Fall is a time when most of the country’s weather accommodates good tree-planting, though many people may not have tree-planting in mind. We invite you to participate in National NeighborWoods® month by volunteering, hosting a local event, or donating to help plant trees during October. This year marks the event’s 10th Anniversary and we expect it to be the biggest yet with more trees in the ground and volunteers engaged! To register your event, download free tools and templates, and order local support materials, go to www.NeighborWoodsMonth.org. 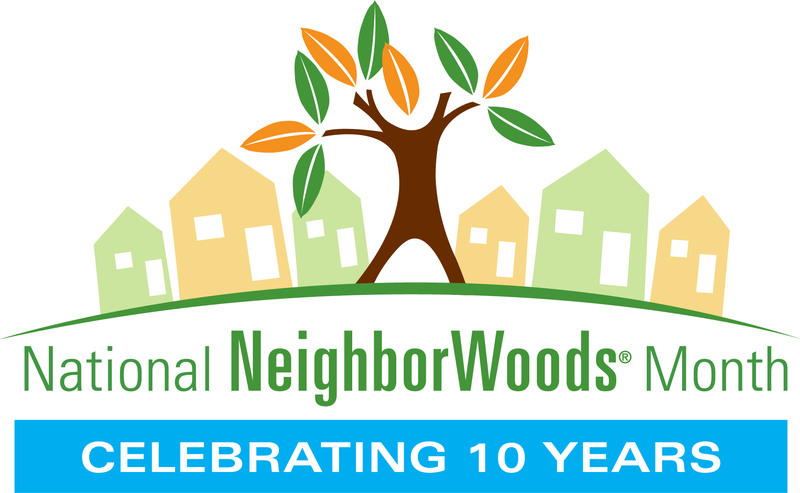 “National NeighborWoods® Month is the annual celebration of trees in our communities. All month long there will be tree plantings, educational workshops, tree tours, and community green-ups in cities and towns across the country.